Aunt Bee, Opie, Andy, and Barney – they’re all there. The Andy Griffith Show is classic television and the fictional town of Mayberry it’s set in is as infamous as the show’s beloved characters. 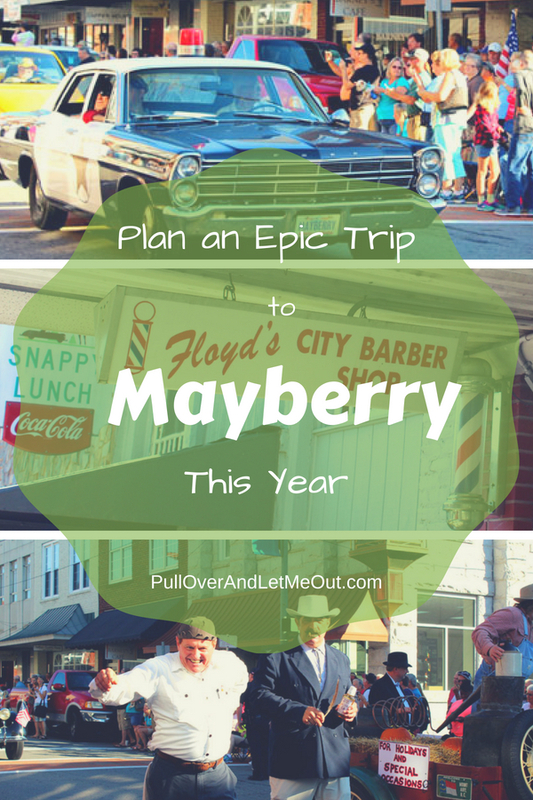 Mayberry isn’t just a place in television lore, Mayberry comes to life in Andy Griffith’s real hometown of Mt. Airy, North Carolina. The quaint town that served as the inspiration for Mayberry located at the gateway to the Yadkin Valley and the Blue Ridge Mountains rolls out the welcome mat to fans of the popular television show year-round. It’s not a coincidence Mt. Airy resembles the fictional town of Mayberry. It’s a major reason so many are drawn to this charming town which caters to treating visitors to all-things-Mayberry. Mt. Airy is proud of its famous son, Andy Griffith, and equally proud to welcome fans with a generous portion of southern hospitality. Guests can tour town in the backseat of a squad car or map out their own walking tour to take in spots like Snappy’s Diner, Floyd’s Barber Shop, Andy’s homeplace, The Andy Griffith Museum or The Andy Griffith Play House. A visit to the Mt. Airy website provides a list of Mayberry-related attractions as well as popular spots and suggested walking tours. Start your tour at the Visitors Center on Main Street and get all the details you’ll need to enjoy your stay in Mayberry. 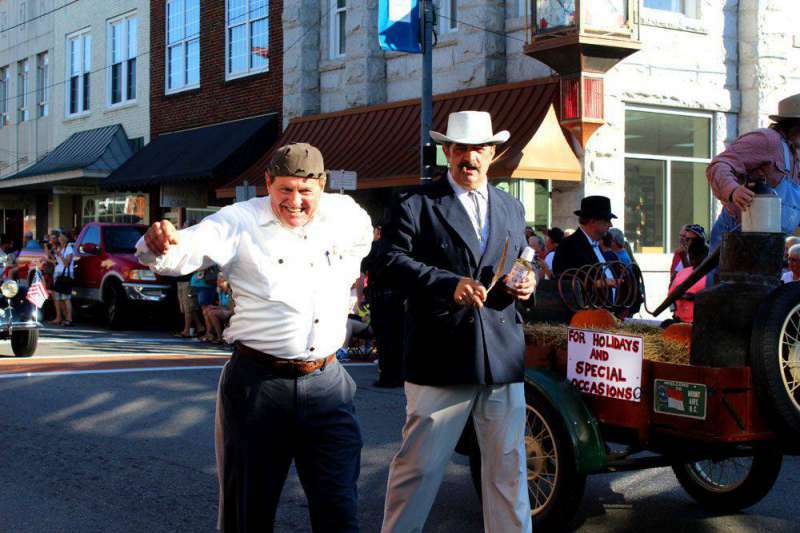 If you really want a full dose of Mayberry, plan your visit now for Mayberry Days. 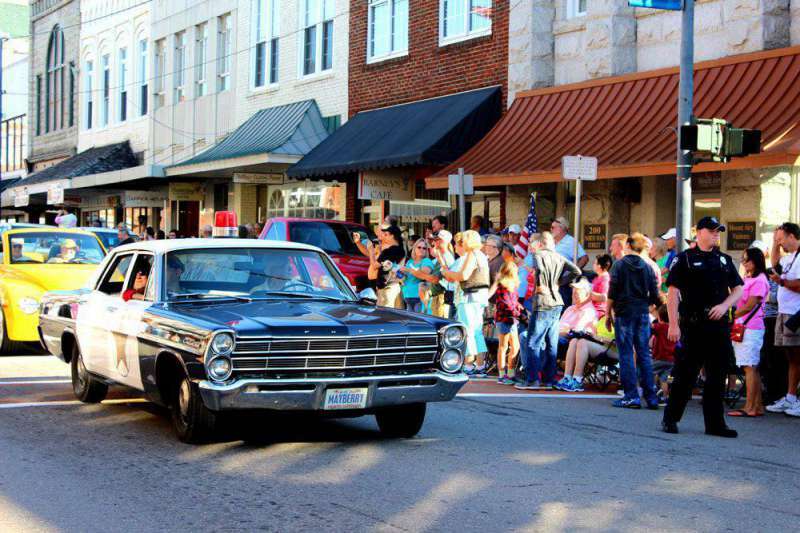 Mayberry Days is an annual event which began in the late 1980s. 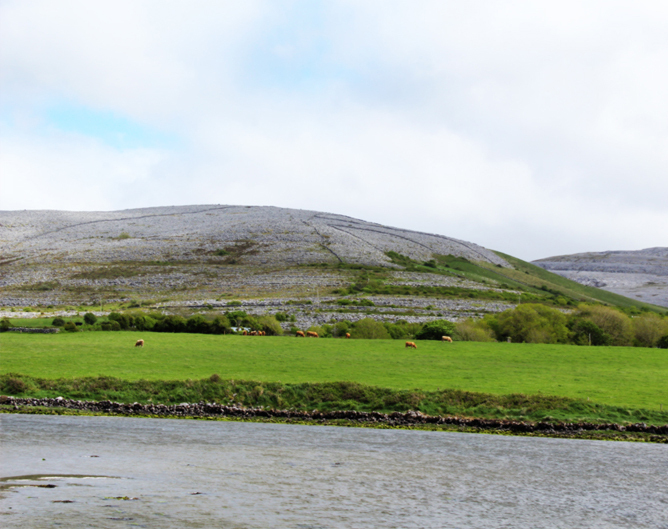 Each September, thousands flock to Mt. Airy for a multi-day family-friendly celebration of The Andy Griffith Show. The festival features special guests from the show, fun activities and plenty of Mayberry happenings. 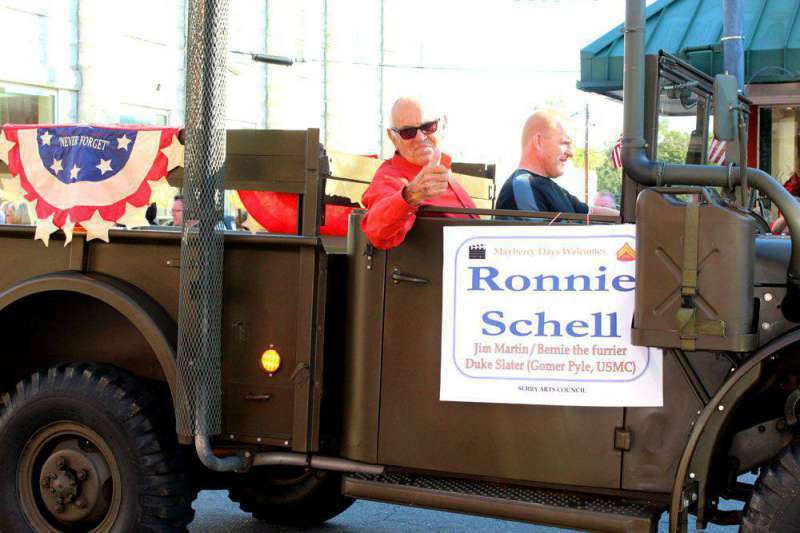 I had the pleasure of attending and must say, the parade was the absolute highlight of Mayberry Days. Arrive early, find a spot on the curb and watch as marching bands, cast members, squad cars, and the like pass by in a nostalgic parade certain to bring smiles to young and old. Though it’s hard to believe there may be folks not interested in The Andy Griffith Show, even fans of the program will discover there’s much more to Mt. Airy than the iconic sit-com. Mt. Airy boasts of antiquing, Blue Grass music, arts & crafts, fall foliage, wineries and an array of non-Mayberry attractions. 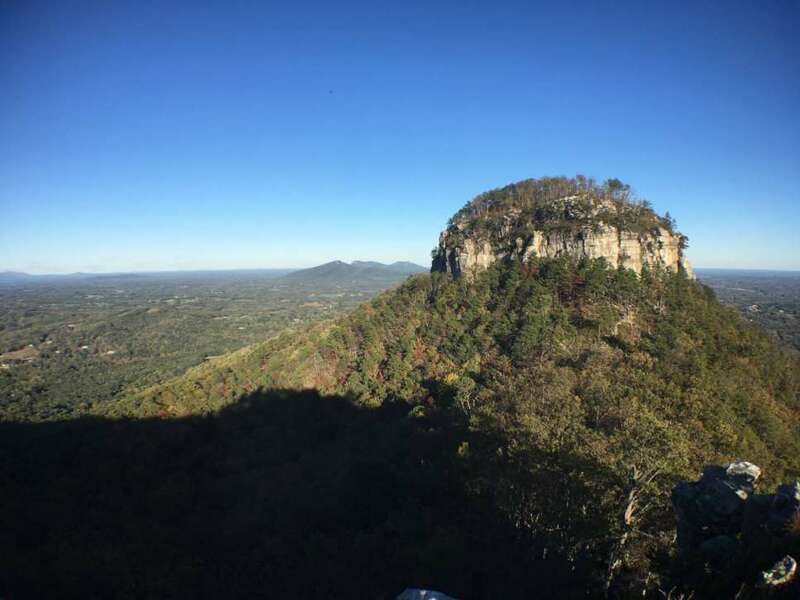 Additionally, it’s surrounded by outdoor activities like Hanging Rock State Park, Pilot Mountain State Park, and the Blue Ridge Parkway . 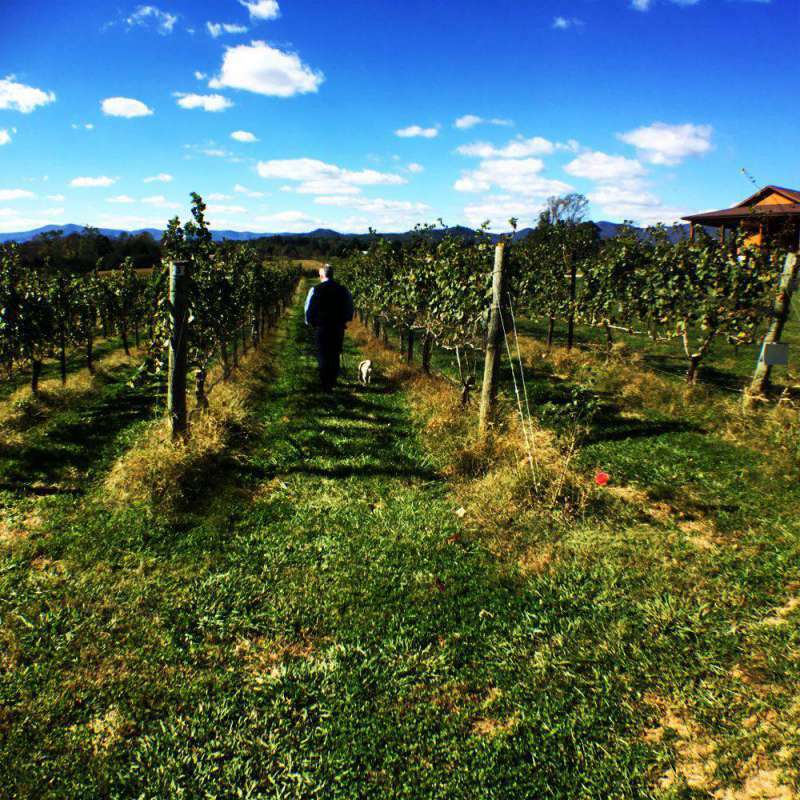 It’s also considered the gateway to the Yadkin Valley Wine Country. Visitors to Mt. 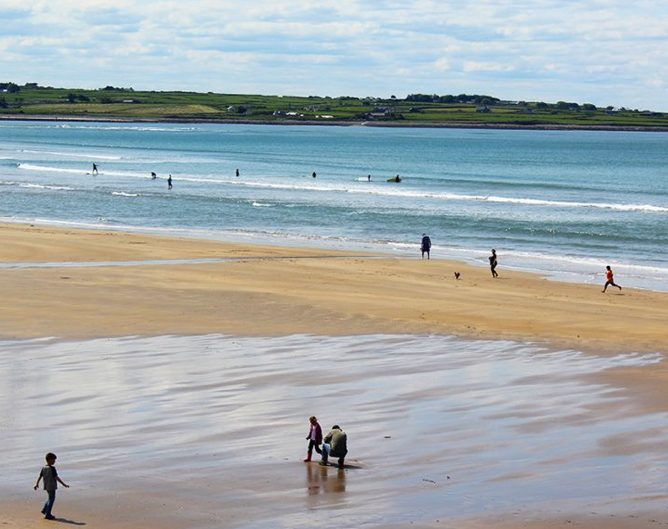 Airy can select from a variety of lodging choices. 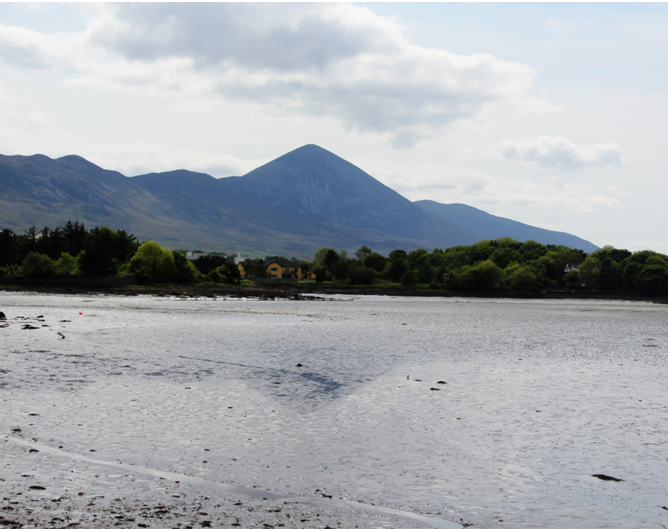 There are several bed and breakfasts, hotels, vacation rentals as well as camping. Mt. 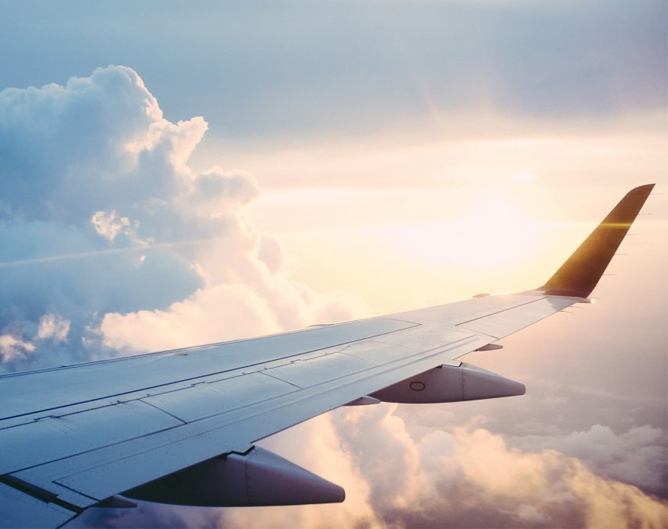 Airy is a short ride northwest of Winston-Salem, 2 ½ hours northwest of Raleigh and an hour 45-minutes north of Charlotte. 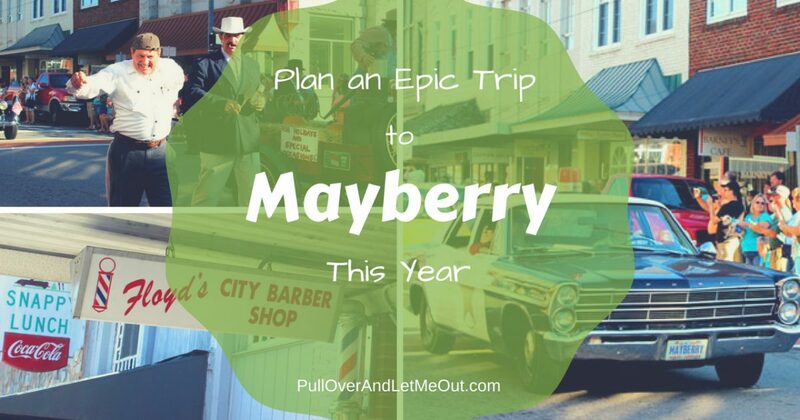 It’s an easy day trip from any of these locations, but I suggest taking your time, spending some time and enjoying a relaxing time in the town that’s proud to be called Mayberry, USA. I loved Mt. Airy when I visited! It’s like stepping back in time. What a fun town! 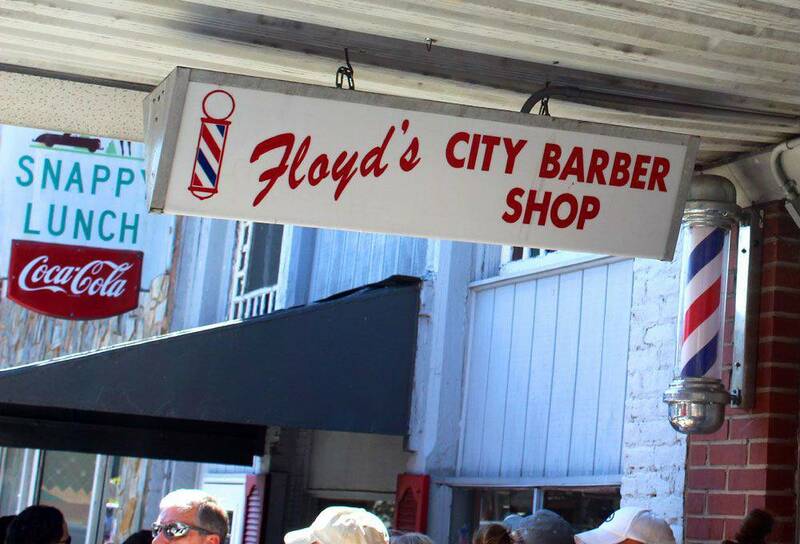 I’d love to go during Mayberry Days. And of course if you’re there you need to go to Pilot Mountain! Never been to Mt. Airy, but it’s on my bucket list. 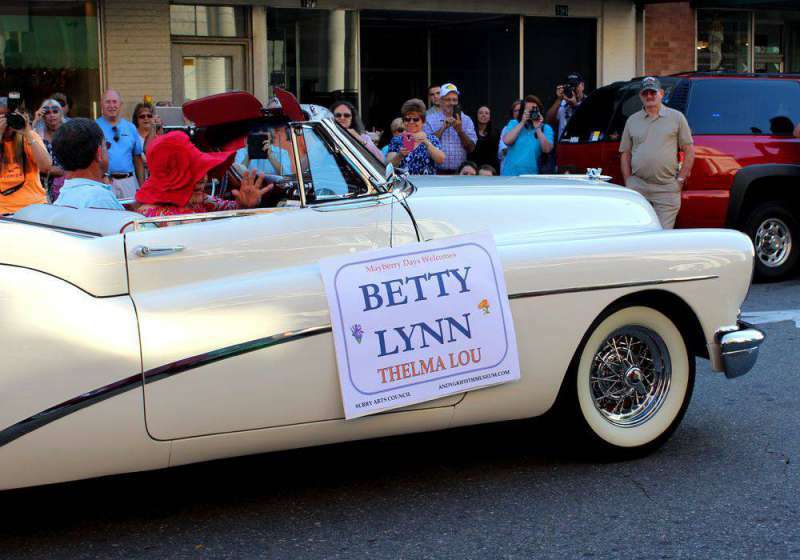 I’m from Siler City, NC and you know who else lived there….Aunt Bee! The Andy Griffith Show has a special place in my heart! Fun post!